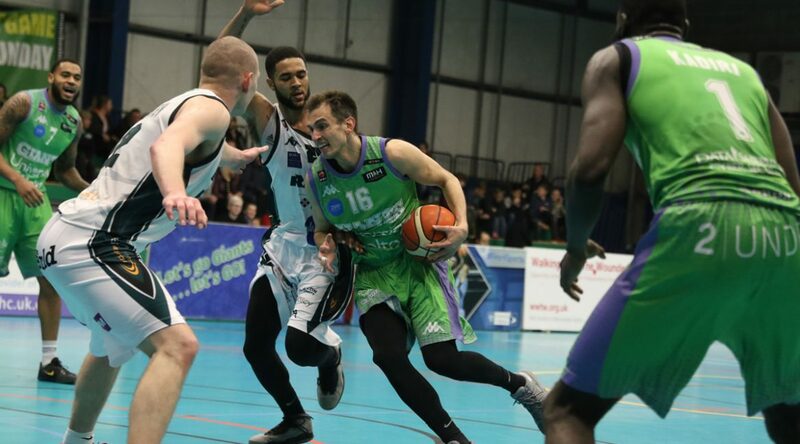 Plymouth Raiders enjoyed a fruitful Friday night on their trip to the north-west as they left Manchester with a victory that takes them to 7 wins for the season. The Devon side completed a 3-0 series sweep against Giants as they play for pride and try to avoid posting their first ever BBL season without getting into double-digits for wins. Turning point – A huge three at just over three minutes to go by Joonas Jarvelainen kept Raiders on top, just as Giants cut the gap to two points and almost had the mental boost of completing a comeback. Key stat – A miserable 4 of 24 from downtown hurt the Giants. Game hero(es) – Jarvelainen plundered 28 points, but Tre Bowman ran the show with 23 points, 8 rebounds, 5 assists and 4 steals.